You are here: Home » Blogging » Disappointing Appraisal? You’ve found the perfect Loft at the perfect price and made an offer that the sellers accepted. But, the appraisal came back lower than your offer. Any Loft financed through a bank or mortgage lender requires an appraisal to protect them against originating a loan is upside-down (the loan is greater than the collateral). There are many reasons that an appraisal comes back lower than the Loft price. The comparable houses used in the appraisal may not actually apply to the property you’re hoping to buy. For example, if the Loft you’ve put an offer on is semi-rural or rural, the comparable Lofts may not have as much land, or may have land but not as much house, or fewer outbuildings. In residential neighborhoods, the Loft you wish to buy may have upgrades that none of its neighbors currently have. Often, there are no other recent sales in the same neighborhood to compare to, so the comparables are from other neighborhoods that may not have the same quality of life or amenities as the neighborhood you’re hoping to buy into. Sometimes, the Loft is subject to a bidding war that drives the price higher than its actual market or appraised value. Get a second appraisal. 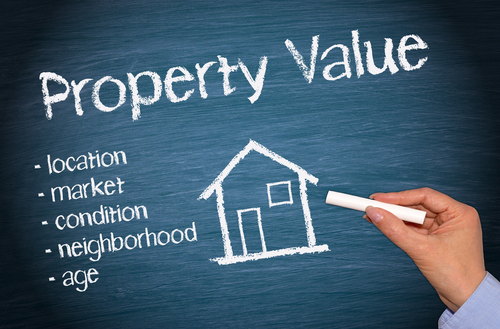 Yes, you can ask for a second appraisal from another qualified appraiser. Of course, you’ll have to pay for it, but it’s a small price to pay for getting the house of your dreams. Just know that the lender doesn’t have to accept the second appraisal … it’s value may be in appealing the first appraisal. Appeal the appraisal. On the other hand, you can appeal the appraisal with the original appraiser. Review the appraisal carefully. Sometimes things get missed. Sometimes the comparables don’t really compare. Sometimes the appraiser doesn’t have all the information. Give as much information to the appraiser as you can. In recent markets, short sales and foreclosures of similar properties might skew the comparable data too. Review the appraisal contingency clause. A contingency clause means that if the appraisal comes in lower than expected, you can renegotiate with the seller. Of course, they are not obligated to use the appraised value, but they may be willing to cover closing costs or other expenses so that you make the purchase. Sometimes the real estate agent(s) will take a lower commission to compensate for the difference. You can agree to pay the difference, but you are betting on the price of real estate increasing, so you really wouldn’t want to do this unless this is your absolute dream Loft. The best way not to have a disappointing appraisal is to work with a real estate professional that knows the market well and can advise you of fair market values ahead of your making an offer.